Field and court sports provide the highest risk for injury in female athletes, says Dr. Beth Shubin Stein, Associate Professor of Orthopedic Surgery and Sports Medicine at the Hospital for Special Surgery in New York. When it comes to the type of injury, Dr. Shubin Stein says female athletes are most susceptible to knee and shoulder injuries—and even have an increased risk for some of these injuries compared to male athletes. While prevention programs aimed at educating female athletes about the prevalence of these injuries and how to best train to reduce their risk have popped up in recent years, there is still work to do. Dr. Shubin Stein recently spoke with us about the differences in treatment between male and female athletes, the most common type of injury female athletes face and the role concussion plays in women’s athletics. When comparing women’s soccer, tennis and basketball players to men’s soccer, tennis and basketball players, the risk to the female knee is four to nine times greater than it is to the male knee, Dr. Shubin Stein says. The anatomy of the female knee and the way in which women land, cut, pivot and jump contribute to this increased risk of knee injury. More specifically, female athletes have a higher incidence of ACL injuries than male athletes in the same sports, according to a 2012 study published in Research In Sports Medicine. For female athletes, the greatest risk for concussion occurs in soccer and lacrosse, Dr. Shubin Stein says. This year, female lacrosse players have the option to wear helmets for the first time. Previously, there were no protective helmets for women, Dr. Shubin Stein says. Men, on the other hand, have always worn protective helmets during lacrosse. Dr. Shubin Stein says she believes newer and stricter policies that came out regarding concussion in the past few years have created more awareness for concussion not only in athletes but health care providers, as well. “When my patients and I speak, and we talk about the injury at hand, if it had anything to do with their head, I make sure that they’ve either seen a neurologist or have an appointment to see a neurologist to be evaluated,” she says. 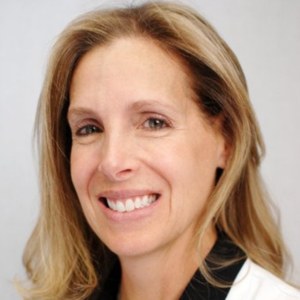 Beth Shubin Stein, MD, is a Scientific Advisory Board Member of the International Concussion Society. The International Concussion Society sponsored website Concussion.Org is the number one destination for information related to concussion prevention, diagnosis and treatment. Our mission is to serve medical professionals, athletes, administrators, coaches, patients and the public by providing a central repository of accurate and scientifically vetted concussion research. Working alongside our world-class Scientific Advisory Board, Concussion.org aims to be the most trusted global index on one of the most common, yet least understood, forms of traumatic brain injury. If you would like to be interviewed for an influencer profile, please fill out this form.